Are you looking for latest prices of all scooters available in the Indian market? 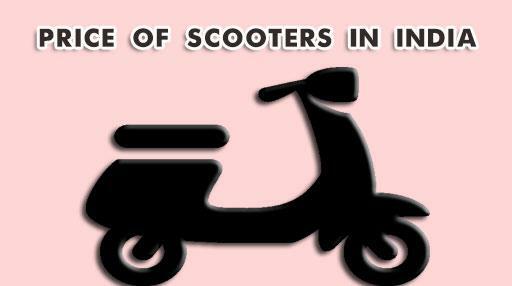 Read this article to know the ex-showroom prices of scooters available in India. Price of a scooter is based on the features and specification it has. However since all of us can't buy the scooter of our dreams, we tend to buy the one which suits our budget. Price of a scooter is a deciding factor which plays an important role in making a purchase decision. Below is the list of scooters along with the ex-showroom price in Delhi (The scooter with highest price is placed first in the list). Prices may vary according to your city and state. Disclaimer: All prices are Ex-Showroom prices and are strictly for indicative purpose only. Prices in your local city/state may vary based on various taxes. You are strictly advised to check the official prices with your local dealer. If you find any error in listing prices of any scooter in this article, please let us know through your comments or you can even contact us by filling up contact form. We will gladly make the changes to this article after proper verification. I am Ketan Patel and want to purchase Honda 125 cc. It's price is about Rs 64,800. I think it is over priced. I want to get Electric Optima bike. I do not understand what can I do. I want to take a new bike for my wife. Electric optima or Activa 125cc - which is suitable for women?